In Japan it appears like the EOS R is gaining steam. After posting a 22% marketshare for the month of October with only 1 week worth of sales, and just the body only option available right now to Japanese consumers, the EOS R breaks the top 10 in Japan for the week of October 29th to November 4th. This is the first week past the preorder shipment week of October 22 to 29th where the EOS R was at the #6 position. This is very rare for a full frame camera to crack the top 10 in Japan. What will be interesting to watch, will the EOS R stay in the top 10 or fall back to where full frame usually sits which is around ranking 15-20. Almost an afterthought, the little M50 continues it's dominance in Japan, taking the #1 sales ranking again, after slipping slightly last week down to #2. This weekly period is basically all Canon, taking 7 out of the top 10 positions. 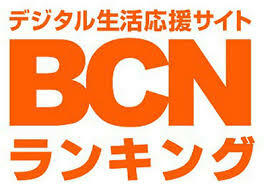 BCN in Japan collects domestic sales data from around 50-60% of all retailers in Japan. From a statistical point of view, it's a highly accurate look of the domestic data for the camera manufacturers.